Hey everyone. Since this doesn't really fit in any of the Trine subforums, i thought i'd post it here. 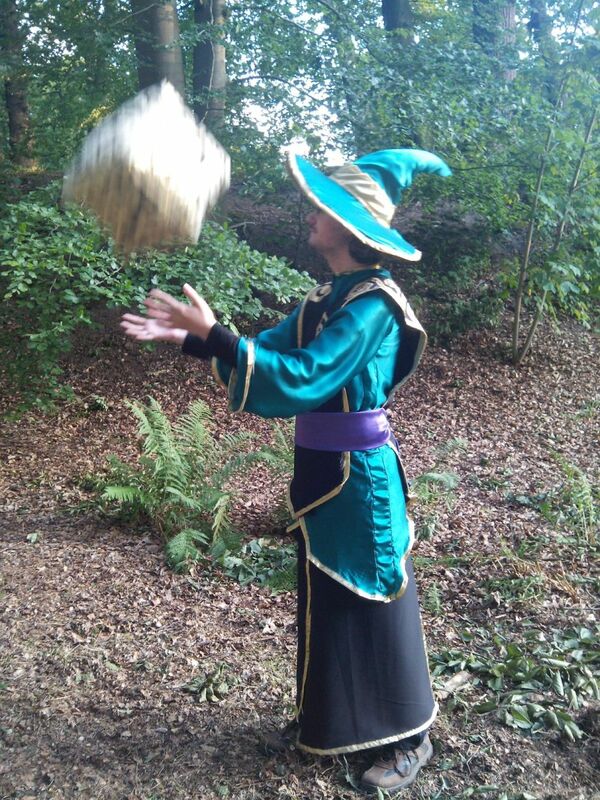 This costume was made by me and my girlfriend for this year's castlefest, over the course of one gruelling week. It turned out quite nice in the end, having been based on largely Trine 3 with a bit of 2 mixed in (The box in particular). We got recognised quite a bit, actually. It really stands out. Funnily enough, Aamadeus seems to have a really child-friendly design. They kept walking up to us to have look. I think it's the colors. We took a few liberties with the original design, though i don't think anyone would notice. The biggest difference is probably that the three gears were originally a trio of belt buckles, meant to hold the tabard together. 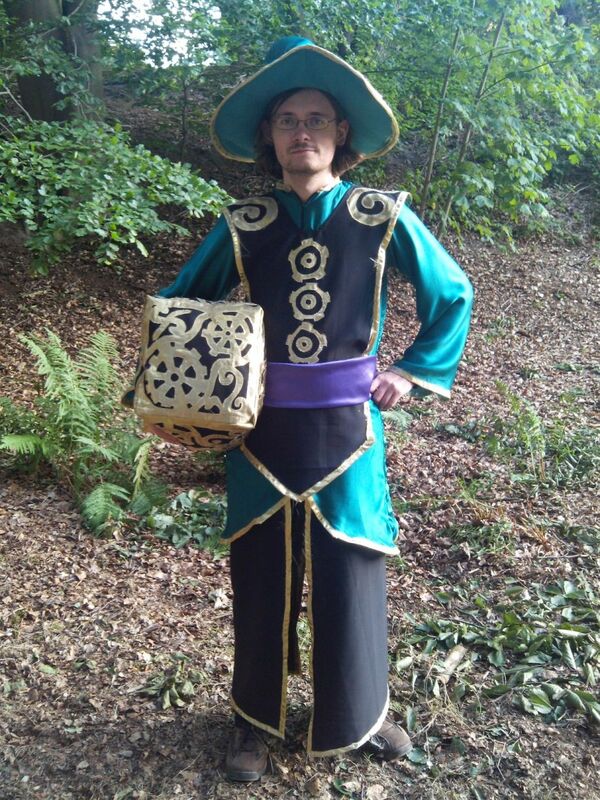 The rest is just stuff we had to do due to time constraints and inexperience, but for a first costume, i'd say it turned out really nice. We'll be improving it a little bit for next time, but it should mostly stay like this. Maybe add some proper shoes and his satchel. Let me know what you guys think. I know the devs sometimes visit this forum, and i'd just love to show how much we appreciate the series so far. I'm trying to think of something cool enough to say for this, but I don't have the words to do this justice. This is super cool, and I absolutely love the plushie box! I showed this post to everyone at the office already and we're all in love with this. Senior Producer @ Frozenbyte, Inc.
Everyone loves the plushie box. :p it's great to hear that though. My girlfriend loves your response. There were a lot of late nights involved, mostly hers, until i could show up to help. I'll be sending an email with another picture of the costume in progress as evidence that it's me sending it, though i am quite curious to hear what you've got planned. I don't know if you were aware, but there's a Zoya cosplayer around somewhere too. Can't remember the name though, and we're not connected. 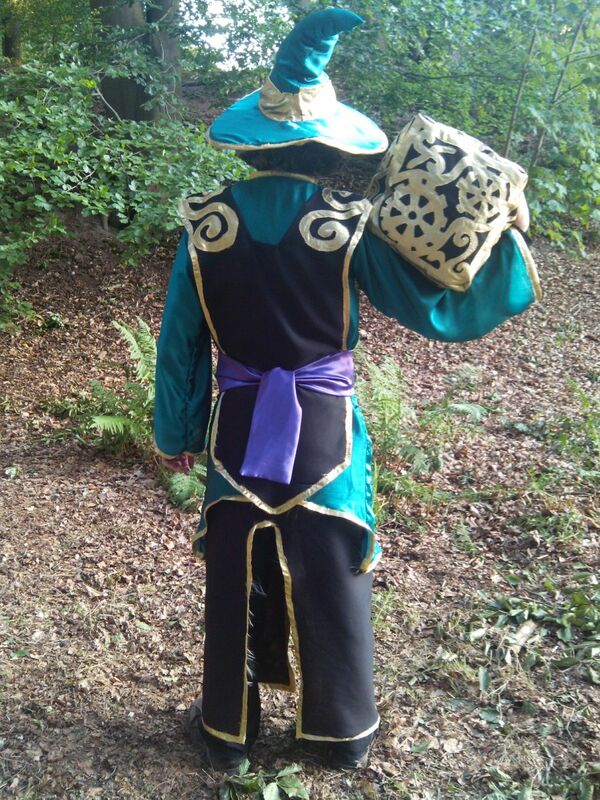 We've actually interviewed one Zoya cosplayer for our blog, though that was already years ago. I think one of our employees also spotted a Zoya cosplayer at Ropecon here in Finland this year, but sadly they lost sight of her and didn't get to say hi. I'll be waiting for the email. I've sent the email, but i think it might have ended up in your spam box. We received the mail and I just sent you a reply. Sorry for the slight wait; office was closed for the weekend.